Janet participated in the Waterville, Maine French Reacquisition group led by Julia Schulz from 2001-2003. This group in turn created a French Reacquisition group that has met weekly for the last 12 years, helping to bring French back into the public after its suppression in the 1920s by the Ku Klux Klan. See IMPACT – Si Je Comprends Bien. . . and Réveil–Waking Up French. Documenting natural group conversation is important as it offers opportunities for enhanced community participation, which makes the language increasingly visible and valued. An important catalyst is the awareness raising and motivational impact of video feedback. Group and community presentations using edited documentation to trigger engaged conversations can address the effects of community trauma, increase understanding, commitment, and cooperation, and lead to new grassroots community leadership and program development. Additional educational resources such as the Endangered Language Portal then become possible. All these elements reinforce cultural identity and pride and increase confidence and advocacy for program development aimed at recovering and stabilizing heritage language use. A documentary film that addresses causes for language loss and integrates points of view about revival can heal divisions within the community and also create a bridge of understanding and support between the minority community and the dominant culture. (See THE DOCUMENTARY FILM). 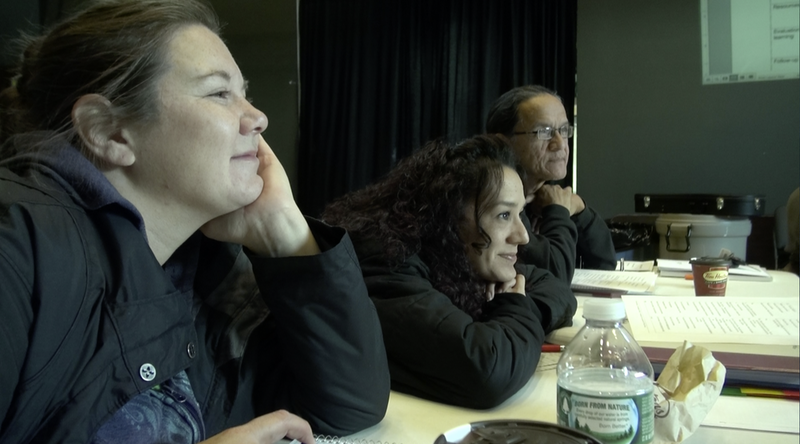 We’ve been privileged to play a role in the revival of French-Canadian/Franco-American French communities of New England and Louisiana; the Passamaquoddy-Maliseet communities of Maine and New Brunswick; and the Ayöök, Mixe-speaking communities of Oaxaca, Mexico, as well as filming with the Wampanoag Language Reclamation project. The Louisiana State Legislature has recognized our work, and the Maine State Legislature inducted Ben Levine into the Franco-American Hall of Fame for helping to bring back French in that state.